In the latest test results published by Stiftung Warentest in Germany they have tested 16 child car seats from eight different manufacturers together with the German automotive club ADAC. 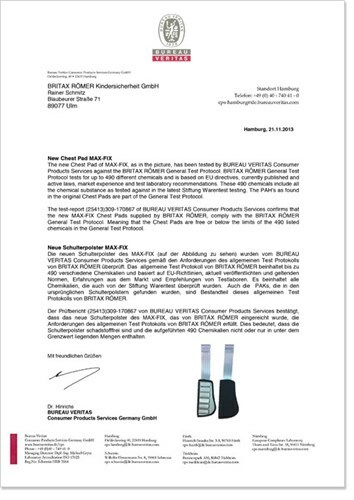 Within these test results the Britax MAX-FIX (Group 0+/1; from birth to 18 kg) received good scores in Safety & Handling / Ergonomics, but was downgraded and rated as overall insufficient (5.5) due to potentially harmful substances found. The result of 5.5 is caused by a raised contamination level of potentially harmful substances (PAH) found in the chest pad of the MAX-FIX seat. These PAH chemicals found are a by-product of certain manufacturing processes (e.g. synthetic materials) and are considered by some official bodies as being potentially hazardous. It is important for you to know that the MAX-FIX is approved to legal requirements (e.g. REACH compliant) as these substances are not prohibited by law. Stiftung Warentest tests beyond legal requirements and is in addition constantly updating their test protocol. Our internal General Test Protocol tests for over 144 different chemicals and is based on EU directives, currently published and active laws, market experience and test laboratory recommendations. At Britax we are consistently updating and checking all kind of sources to not only comply with all legal requirements, but go above and beyond these and we will make sure these types of PAHs are included in our testing from now onwards. We of course take findings like this from respected independent test houses very seriously, just like we know you do also. Therefore, we immediately started the process to develop new chest pads so that we can be sure they do not contain any potentially harmful substances highlighted by Stiftung Warentest. The new chest pads have now been re-homologated with the seat, as well as being fully chemical tested including the highlighted type of PAH. 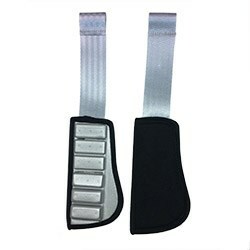 This complete new chest pad can be easily identified by its new shape. 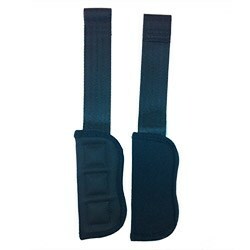 We are replacing the chest pads on all stock in our warehouses and any products that our retailers currently have in stock, plus we would like to offer free replacement chest pads to anyone that has already purchased the MAX-FIX to ensure you have complete peace of mind and confidence in the product you have. To make this as easy as possible for you, the free replacement chest pads will be available either from the retailer you purchased the seat from or you will be able to simply get in touch with our Britax Römer customer service team who will be happy to arrange this for you. We would like to further emphasise that in the review of Stiftung Warentest the MAX-FIX product received good scores in Safety and Handling / Ergonomics. It has also been PLUS tested in Sweden to an even higher pulse and set of dynamic requirements than even Stiftung Warentest / ADAC, only 9 car seats have passed the PLUS test successfully. MAX-FIX was 1 of these 9 car seats. So as you can see, you can be confident that your child will be safe and secure in the seat you have chosen.